Leaves simple to to irregularly pinnately or bipinnately incised. Lamina of simple leaves lanceolate or elliptic, apex acute, 40-120 x 8-18, lamina of compound leaves 40-120 mm long, pinnae 8-30 mm long, segments 1-2 mm wide, glabrous to sparsely hirsute with appressed hairs. Petiole 30-90 mm long. 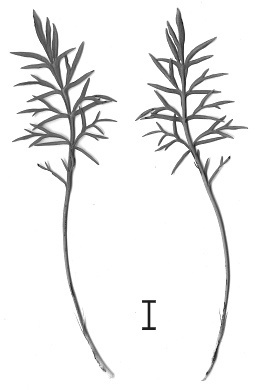 Stipules subulate, adnate to petioles to 2/3 of their length. Branched scape, with 2 - 4 umbelletes, each with 3-9 flowers. Peduncles 10-70 mm long, covered with appressed curly hairs, interspersed with long glandular hairs, pedicel 0.5 mm. 5, lanceolate, 5-12 x 1-3,5 mm, posterior erect, others recurved. Hypanthium 8-22 mm, green. Petals 5, white, cream, yellow, pink or salmon-pink, claws forming a sheath. Posterior with conspicuous wine-red blotches in the centre, bases narrowly cuneate, margins undulate, 15-23 x 2-4 mm. Anterior with a line marking, margins undulate, 14-21 x 1.8-3.5 mm. 5 fertile, posterior one 2-3 mm, lateral two 2.5-4 mm, anterior two 3.5-4.5 mm. Fynbos on the slopes of the Groot Winterhoek mountain just N of Tulbagh, W Cape Province. 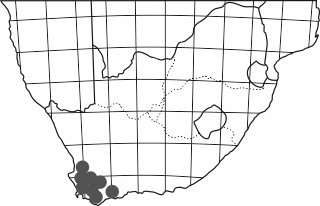 Higher up on the slopes, as the thicket starts opening up, P. longifolium, P. rapaceum, P. asarifolium and P. trifoliolatum become common, though they occupy different niches, P. longifolium and P. asarifolium preferring the safety of shrubs. The winding roads of Franschhoek Pass in August, i.e. mid-winter 2015. The strong winds carried rain horizontally and after ten minutes the camera remained the only thing one struggles to keep dry. When that becomes impossible, it's time to quit plant spotting. A modest single leaf of P. longifolium hidden among mosses and restios just above the Pass. Difficult to spot but undoubtedly a pelargonium at first sight. 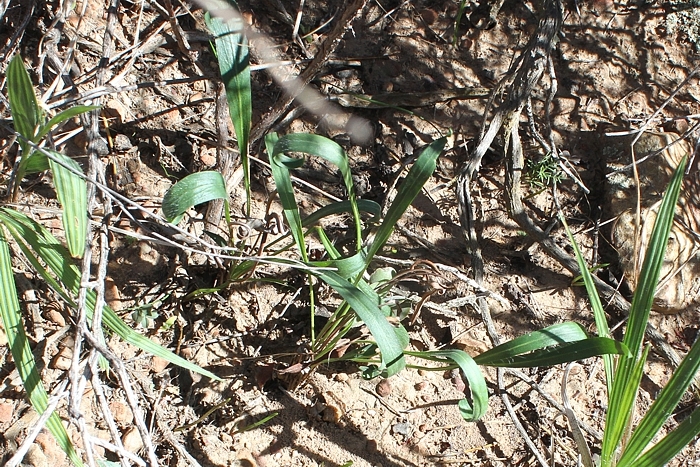 There are many similarities between P. longifolium and P. proliferum, including the highly variable leaf shape. 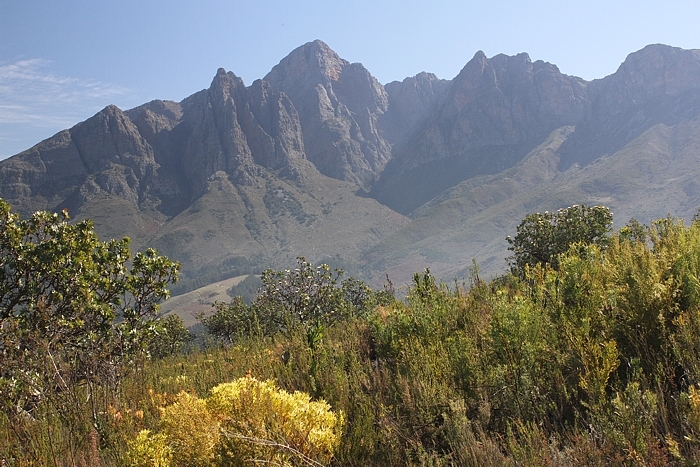 The flowers of Franschhoek Pass plants are perhaps uncharacteristic in that the petals are barely undulated. 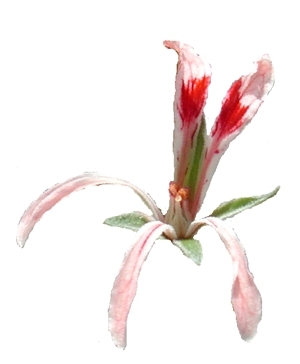 However, the short stamens and the claws forming a sheath are a giveaway. 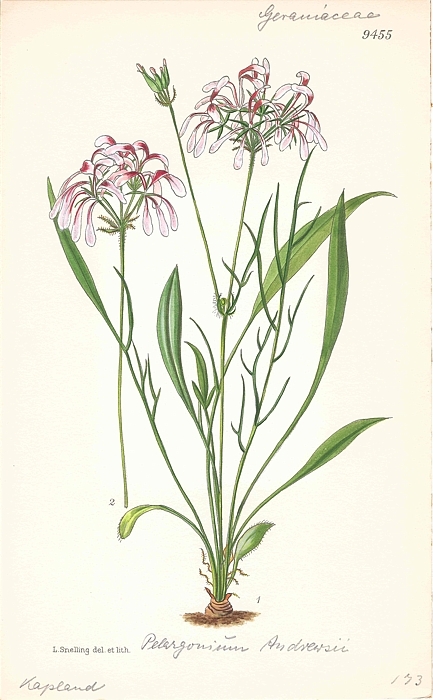 So much so that they closely resemble the illustration in Curtis's Botanical Magazine below. Curtis's Botanical Magazine, 1936, Tab. 9455 (as P. andrewsii). bipinnatifidum (Eckl. & Zeyh.) Steud. 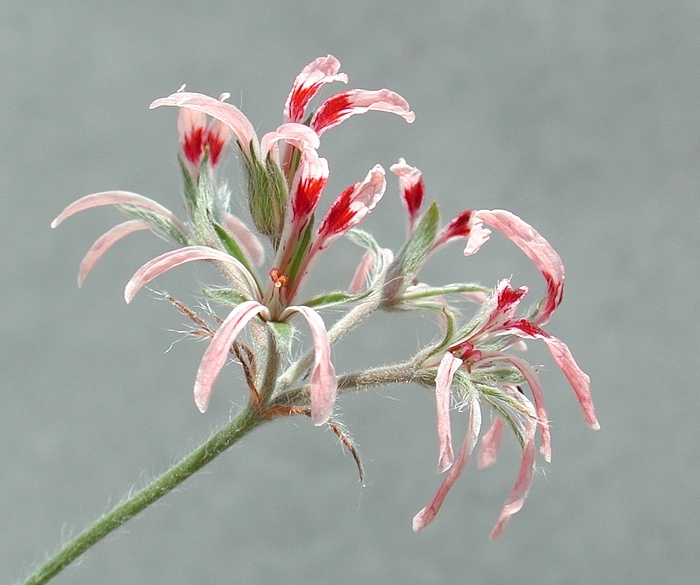 lancifolium (Eckl. & Zeyh.) Steud.